UPDATE 2/13/14: I have been thinking about Kafka and the way I reviewed this book a lot- his works definitely make you think- and have decided to change my rating. I want to say that Albert Camus' quote that the thing about Kafka is that he causes you to reread him is extremely true. As disappointed as I was by the writing of many of the stories, others, such as Metamorphosis, I really enjoyed, and even those I did not caused me to really think. I believe I have been bitten by the Kafka bug (Gregor Samsa? ), as I can now say that this review will probably not be permanent, as I eventually would like to reread this collection of Kafka's works. But for now, I am upping the rating to three stars. I came into reading Kafka with high hopes. I had heard many great things about his works from many different people. Sadly though, his works did not meet my expectations. I am disappointed. I really wanted to like Kafka's writings, but I really do not. Part of this is my fault. I came into this expecting something along the lines of Sartre's Nausea, which, being the first existentialist novel I had read, I really enjoyed; so I was hoping that Kafka would be similar. 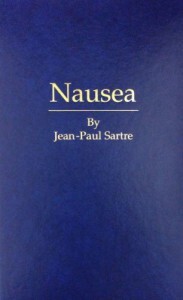 Although both Sartre and Kafka do express certain similar themes, particularly with their feelings of alienation and despair emanating through both their works, they express them in much different ways. While the themes in Sartre's work were obvious, and his stories realistic, Kafka's often unrealistic stories could be read over a dozen times and the interpretation of his themes still be vague or misunderstood. But, that appears to be some of the appeal of Kafka- his works are overflowing with metaphors, symbolism, and themes that one could spend a lifetime trying to interpret. Reading Kafka's stories would probably be easier and much more enjoyable if one had an understanding of his personal life; many of his works seem to be metaphors expressing his relation to his family or how he thinks of himself. Besides this, most of his stories are incomplete. 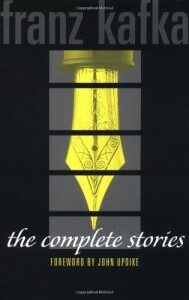 Many of his complete ones are enjoyable and interesting, and even some of his incomplete ones; however, many of his incomplete stories are also fragmented and confused, often switching between plot elements throughout the story, greatly confusing the reader. In the end, I did enjoy some of Kafka. But, I really find Kafka the man more interesting than Kafka the writer. His personal life, and the views and experiences that influenced his writing, are more interesting than his writings themselves; and his writing is mainly interesting only to try and decode his personal thoughts on these matters. I will probably end up rereading this when I have more time- with a greater understanding of the themes behind his writing, I would probably enjoy his work much more. But until then, I can only say his work is alright; it is interesting, but not exceptional. 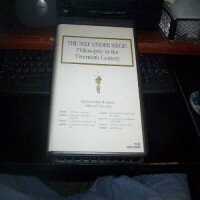 A very detailed look into the life and times of one of the most influential- although often overlooked and underrated- individuals of the twentieth century. Sadly, it is not as personal as I had hoped it would be; by this, I mean that it offered much less a description of his personal life, as in interests, activities, etc. as it did the overarching political situation facing Ho Chi Minh in his struggle to both free and unite Vietnam. However, this disappointment may be unavoidable; sources on Ho Chi Minh's life are often lacking, and when in existence, are often very biased, particularly considering the near deified status he has been given in Vietnam, where many of the surviving records exist. 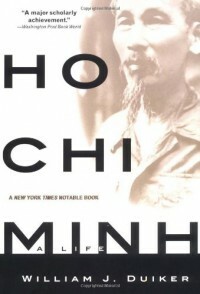 After reading this book, I tend to think that Ho Chi Minh may have liked it this way. He would have preferred to have himself remembered less as an individual than as a symbol of communism and Vietnamese nationalism; in other words, that people would not look at him, but would look instead at the movements and beliefs that he stood for. In the end, I think Ho Chi Minh was a complex and misunderstood man. He was not a radical communist as many of his critics insist; but neither was he entirely a nationalist who merely embraced communism out of convenience. The main driving force in his life, however, was most definitely nationalistic. Although he was certainly no saint, as the Vietnamese government makes him out to be, he was certainly not the opposite either. There is much to respect in Ho Chi Minh; a man who gave everything in the cause of his country's freedom and unification. That is how Ho Chi Minh should be remembered- a flawed man, yet with much to respect. Overall, a very good read. 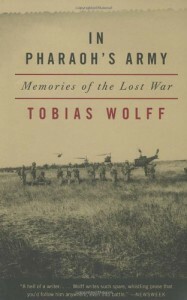 This book, contrary to my first impression, was a history novel in graphic form. And an amazing one at that. It shows the Holocaust in a personal and visual way that makes it much more personal and horrifying than just reading about it in paper. Honestly, I am not entirely sure how to review this. I am only sure that it is amazing. Read it. Another good lecture by Rick Roderick. 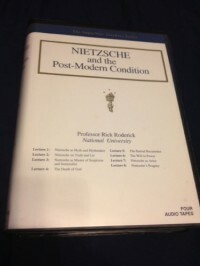 It covers many of the same themes as his other courses, except that it mainly focuses on these themes through the lens of Nietzsche's philosophy and ideas. 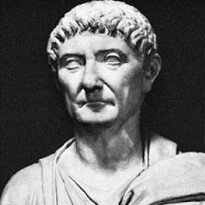 Also like Roderick's other two courses, it contains many cultural and governmental criticisms and Roderick's sense of humor that make his courses so enjoyable. I decided to read this to help me complete my reading challenge this year, as it had an interesting premise, was short, and, I figured, was probably an easy read. I was wrong. This book assumes a level of theological and philosophical knowledge which I sadly do not possess. So if this review seems a little unfair, that would be the reason. Now onto the review. The premise I was expecting was a Christianity without the traditional concept of God, and an exploration of what purpose holding Christian beliefs and morality would serve without the concept of God. However, my guess was fairly off. This book seems to be an attempt to reconcile existentialism and the Death of God philosophy expressed most famously by Nietzsche with Christianity. In attempting to do this, Altizer agrees with Nietzsche- except he takes it a step further. He thinks that God is literally dead. As in, he existed at one point, but then died. 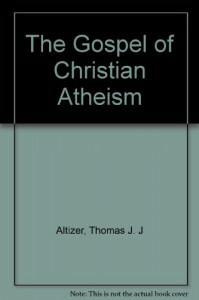 Altizer believes that God died at the Crucifixion, when he came in the form of Jesus and self-sacrificed himself, and his essence is now contained within the world. He gets to this point using a lot of complicated theological and philosophical language which, unfortunately, served only to confuse me even more than an already confusing premise. Maybe if I had been reading it earlier then 11:00 PM at night it would have made more sense, but who knows. It was still interesting, and should probably be re-read when I have improved my knowledge of complicated theological terminology. Ah, Sherlock Holmes non-canonical fiction. There is a lot of it out there. I have wanted to try reading some eventually, and have finally gotten to doing so with this book. What I really wanted to read was The Seven-Percent Solution, but sadly, my library does not carry it. So, I checked out this book instead. The book starts out with Holmes in retirement on his bee farm, with Watson showing up and pressing for more details about Holmes' doings during his lost years, e.g. the years after the Reichenbach Falls incident. To make it confusing, in Meyer's stories, the Reichenbach Fall never happened, and was instead a cover story for Sherlock Holmes as he visited Sigmund Freud to help recover from his cocaine addiction. However, this is not a review of The Seven-Percent Solution (which, as I have said, I have yet to read), so let me get back to the story. During his time off from being the world's greatest detective, Holmes has decided to do a little sightseeing and makes his way to Paris. While there, he ends up taking a job with an orchestra (violin, remember?) at a place with a lot of dark legends surrounding it, particularly involving the "Ghost". While working at this theater, he runs into *shock* Irene Adler, who blackmails him into protecting another one of the female leads at the theater, as Adler fears that her life is in danger. As I do not plan to spoil the story for the people reading my review, suffice it to say that stuff happens, people die, the case is solved, and everyone lives happily ever after. Interestingly enough, from what I have heard this story is Phantom of the Opera with Sherlock Holmes mixed in, but I cannot tell you whether this is true or not as I have not read Phantom of the Opera. The story itself is not bad. 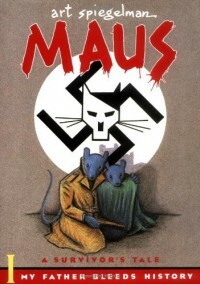 The writing is decent, the plot is decent, and so, overall, the book is mostly decent. However, in the respect that it is supposed to be a Sherlock Holmes story, it is kind of disappointing. 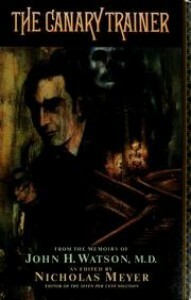 Holmes is not the genius that he is in Doyle's novels, and his character just seems a little off. I also feel as if he never really even solved the mystery in the book, and it is more like the case resolved itself with a little input by Holmes. Overall, I cannot say I recommend it. I heard that Meyer's other Holmes stories were much better than this one, and so I am willing to give them a try before I make a judgement on Meyer's Holmes stories in general. In closing, I have one last positive thing to say about this book: the way Meyer references His Last Bow in this book's ending is pretty awesome. In The Third Wave, Alvin Toffler splits human development into three stages: the agricultural period, or First Wave; the industrial period, or Second Wave; and the post-industrial period, or Third Wave. 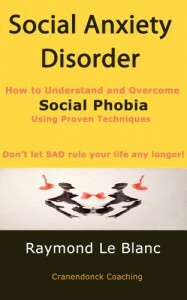 This book mainly focuses on the latter two, comparing and contrasting the two stages. 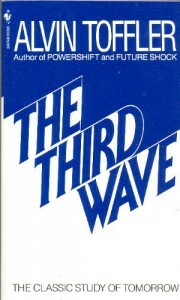 Toffler believes that moving into the Third Wave is the cause of many of the political and economic problems that we see today, a growing pain of sorts. According to Toffler's picture of this newest stage of human civilization, we are going to return to many of the best parts of the First Wave, including such things as power decentralization, regionalism, and "prosumerism," or individuals that produce much of what they consume. Toffler predicted many aspects of this Third Wave future, some of which came to pass, and some of which did not. Being a futurist, Toffler unsurprisingly takes, in my opinion, a far too positive view of the future. Do not get me wrong, the future is all we have, and should be looked forward to positively, but many of his most positive predictions, for example, about power decentralization, greater equality in the distribution of wealth, and greater political power for the common people with more direct democracy, seem not only to not be coming to pass, but the opposites of his predictions appear to be far more realistic. An increased concern with environmentalism, which Toffler predicts as one of the most important aspects of the Third Wave, may be growing, but it is at a dangerously slow pace. However, despite all of these predictions that either have not or are not going to be fulfilled, many other predictions of his, particularly those regarding technology and communications, we can see have been fulfilled all around us. Overall, an interesting and thought provoking read. This book is a journey in which the main character is led by a Scottish minister through a dreamt-up purgatory full of metaphors, which C.S. 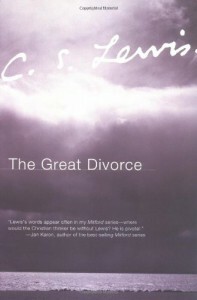 Lewis uses to explore his concepts of Heaven and Hell and contrast them to other views held by much of Christianity. 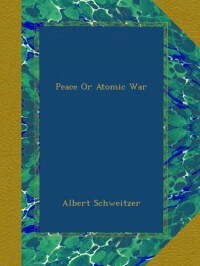 Although I do not necessarily agree with many of his ideas, it was still an interesting read. I expected that I was going to like this book, but I did not think it would be as good as it turned out to be. It covers its main theme, the breakdown of traditional societies because of European intrusion and colonialism, very well. The main complaints I could see against this book would be that it seems rushed in parts, or that many of the characters are lacking in development. I think these are valid complaints, but that these aspects are important for the story. The rushed feeling is needed to progress through the long periods mentioned within the book, while the limited character development does not effect the story much, as it focuses on colonialism's effect on the community as a whole, not so much on an individual. A good read. A good lecture series on some of the most influential philosophers of the modern era. The most interesting lecture was the last one, on Jean Baudrillard and "hyperrealism", a word meaning a simulation or fiction that becomes more real than what it was meant to emulate. A very scary thought, but one that likely has more truth for our future than we would like to admit. I expected that I was going to like this book, but I did not think it would be as good as it turned out to be. It covers its main theme, the breakdown of traditional societies because of European intrusion and colonialism, very well. The main complaints I could see against this book would be that it seems rushed in parts, or that many of the characters are lacking in development. I think these are valid complaints, but that these aspects are important for the story. 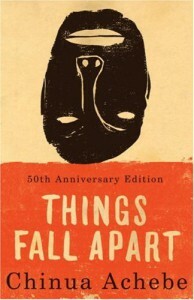 The rushed feeling is needed to progress through the long periods mentioned within the book, while the limited character development does not effect the story much, as it focuses on colonialism's effect on the community as a whole, not so much on an individual. A very good read.